The Overwatch League returns in just a couple of days, where the San Francisco Shock will seek to stake their claim over the new season. The San Francisco-based team had a shaky start in 2018, seeing improvements after making changes mid-season but ultimately ending ninth at the end of the competitive year. The team has since parted ways with four members while welcoming a few new additions ahead of Season 2. Four members joined the lineup during the off-season, including Park “Viol2t” Min-ki, Yoo “Smurf” Myeong-hwan, Gwon “Striker” Nam-ju, and Kim “Rascal” Dong-jun. For Season 2, the Shock will boast one of the most expansive DPS lines with five members filling the role. Rascal and Striker will take up residence on the team’s list of damage dealers next to three returning members in Jay “sinatraa” Won, Andrej “babybay” Francisty, and Park “Architect” Min-ho. Viol2t will join the team as support and will play alongside returning members Grant “moth” Espe and Nikola “sleepy” Andrews. Smurf will play on the team’s tank line with Matthew “super” DeLisi, Andreas “Nevix” Karlsson, and Choi “Choihyobin” Hyo-bin. The San Francisco Shock will put their new roster to the test when the team faces the Dallas Fuel on Day 2 of the Opening Week. 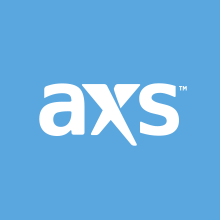 Fans can purchase tickets to see the team live and in action here at AXS.